Nigeria’s entertainment and media industry saw its revenue grow by as much as 25.5 percent in 2017 to $3.8 billion with $605 million of the estimated $764 million rise said to be attributable to internet access. 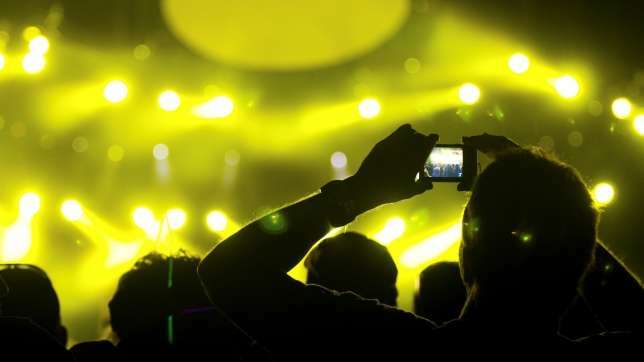 The figures come to light as Pricewaterhouse Coopers, the global financial services advisory firm, said in a new report released Wednesday that Africa’s entertainment and media ( ) industry has entered a dynamic new phase it called the third wave of convergence. The PwC report also said that a 21.5 percent compounded annual growth rate (CAGR) is anticipated to 2022, with revenue reaching US$9.9 billion in that year. “Again, Internet access revenue will account for 89.6% of this absolute growth,“ it said. The report, “PwC’s ‘Entertainment and Media Outlook: 2018 – 2022: An African perspective’ said the borders that once separated the E&M, technology and telecommunications industries are blurring in the battle for the attention of the consumer in a world that is rapidly digitising. As the mobile device cements itself as the pre-eminent source of the E&M experience, the most disruptive, forward-thinking companies are striving to create an integrated ecosystem suited to this consumer-driven dynamic, the report said. She said business models are being reinvented so all players can tap into new revenue streams by targeting fans and connecting more effectively with customers to develop a membership mind-set. “The pace of change isn’t going to let up anytime soon. New and emerging technologies such as artificial intelligence and augmented reality will continue to redefine the battleground. In an era when faith in many industries is at a historically low ebb and regulators are targeting media businesses’ use of data, the ability to build and sustain consumer trust is becoming a vital differentiator,” Myburgh said. According to the report, South Africa’s E&M industry faced a challenging year in 2017 amidst economic and socio-political uncertainty. Total E&M revenue rose at a comparatively low rate of 6.8% year-on-year to R129.2 billion. A bounce-back in 2018 sees an anticipated 7.6% year-on-year growth, while the CAGR to 2022 is forecast at 6.5%. “South Africa will see a strong CAGR of 7.6% for consumer revenue to 2022, moving from R93.9 billion in 2017 to R135.7 billion in 2022. Beyond revenue from the Internet segment (buoyed by apps revenue) there are many success stories, most notably that of video games, which will surpass books, magazines and B2B to become the third-highest contributing consumer segment,” the report said. On the other hand, Kenya’s E&M industry saw 17% year-on-year growth in 2017, again propelled by growth in the Internet sector. An 11.6% CAGR will take the country to US$2.9 billion in 2022, from US$1.7 billion in 2017. Outside of the Internet space, TV and video revenue dwarfs the other segments, the report said.